On June 8, 1972, nine-year-old Kim Phuc, severely burned by napalm, ran from her blazing village in South Vietnam and into the eye of history. 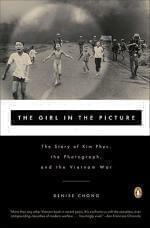 Her photograph - one of the most unforgettable images of the twentieth century - was seen around the world and helped turn public opinion against the Vietnam War. This book is the story of how that photograph came to be - and the story of what happened to that girl after the camera shutter closed. Award-winning biographer Denise Chong's portrait of Kim Phuc - who eventually defected to Canada and became a UNESCO spokesperson - provides a rare look at the Vietnam War from the Vietnamese point-of-view and one of the only books to describe everyday life in the wake of this war and to probe its lingering effects on all its participants.